"NEW" HJG DC-10 Project - "RELEASED"
"HJG Website Update - 3 Years In The Making"
It's been 4 years since HJG first launched its DC-10 inventory. Within a year of that original release though it was already rethinking this entire project .... given the fidelity gap which then existed between its L-1011 and DC-10 panels. Upgrading the original DC-10 panel releases was considered essential in order to parallel the quality of both projects. 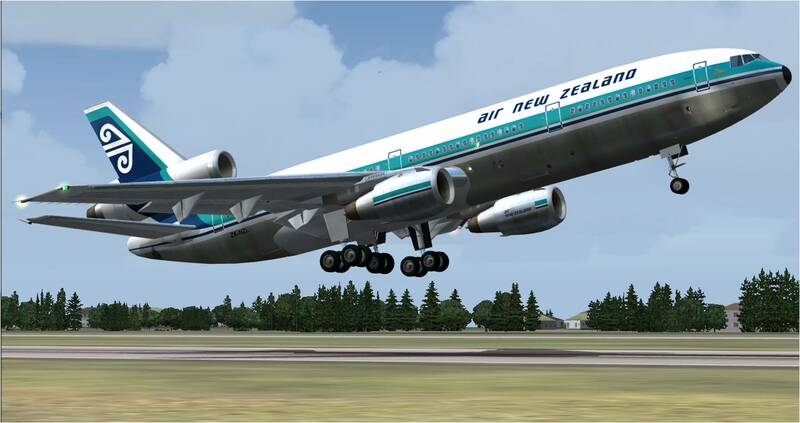 HJG is therefore now pleased to announce release of its "NEW" DC-10 project. This revision represents some 3 years (2 years and 11 months to be precise) of study, consultation, compilation, testing, and adjusting .... assisted by significant R/W support and driven by the dedication and efforts of George CARTY, Mike MONCE, and Benoit PLAMONDON .... aka "the HJG in-house development team". This project isn't just a panel revision only. In fact it's "an entirely new project" composed of each of the following components. - New captain and F/O view main panel view options with improved gauges. - Aircraft/Engine type calibrated engine gauges. - Dynamic weight and flap detent calibrated V-REF chart (with auto-updating T/O and landing data). - Multi-functional AP MCP with both VS and IAS pitch modes, VOR/INS/GPS navigation, and auto approach, and fully automatic dual AP controlled auto-flare/autoland capability. - Dual AT with Thrust Rating Computer interactivity. - WX radar with colour display. - FE panel with functional APU, electrical, hydraulics, pneumatics, and fuel system (with both transfer and dumping capability .... and external vapor effects). - APU and GPU assisted engine startup scenarios. - New overhead panel with ground support communications. - New center pedestal panel .... with a new spoiler lever arming and auto-deployment function. - New panel/gauge night lighting/illumination. - T/O V-Speed call outs. - FPDA GPWS altitude call-outs and other alerts. - Both the ability to perform partial or complete cold & dark panel configuration and engine startup options .... as well as default pre-configured/ready to go option (for those whom do, and don't, like systems complexity respectively). - New FDE (essential for various elements of these new panels to be able to function). - Some minor 3D model editing. Work continues to advance in regard to a number of other new HJG projects and revisions slotted for future release. I know you think you understand what you thought I said but what you thought you heard is not what I meant ! 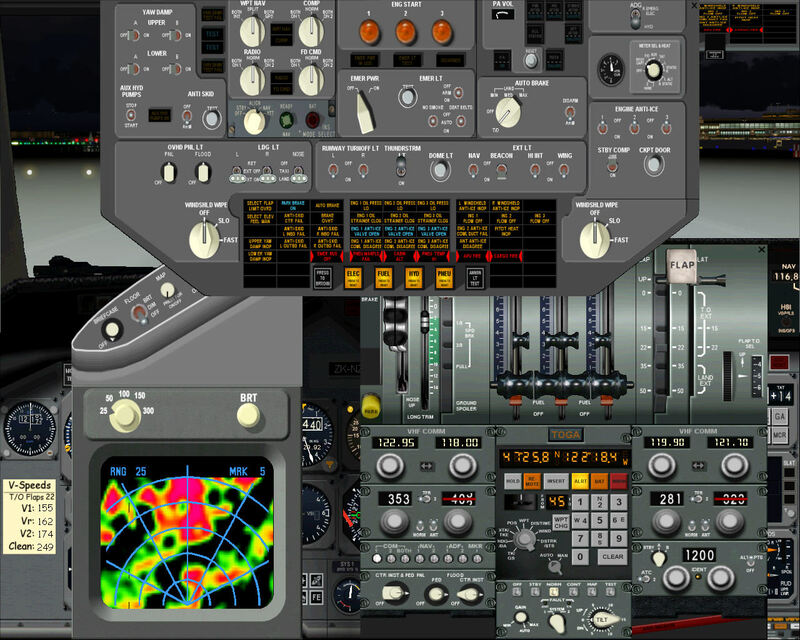 We have today updated our DC-10-10, DC-10-10CF, DC-10-15, and DC-10-40 (NWO/NWA version only) Aircraft Base Packs with new "V3.1" files .... to correct some "very minor" Model related display issues which became evident post release. PLEASE NOTE: None of these very minor issues affected the performance or functionality of any of these new DC-10 simulations. 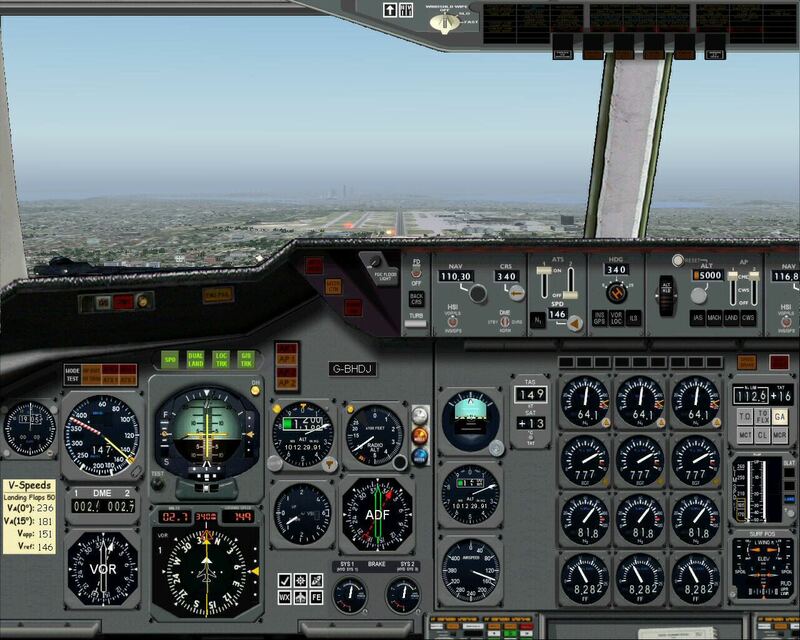 We have also today released an updated "V2.1" DC-10 Panels Gauges/Core Files package for our new DC-10 Panels .... this update simply enables the T/O V-Speed Call-Outs to work "in FSX" also. 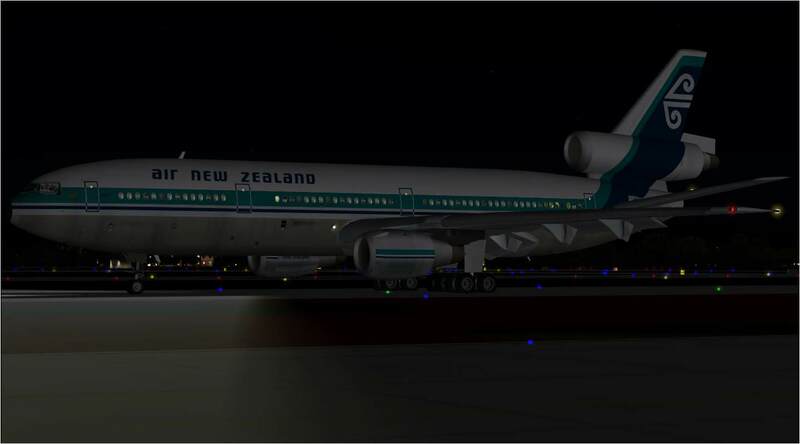 "HJG DC-10 EXTERIOR NIGHT LIGHTING EFFECTS PATCH"
An exterior "night lighting effects" (only) patch is now available for download in order to add the missing exterior tail logo illumination, fuselage landing light reflections, and wing light night lighting effects files to each DC-10 simulation. PLEASE NOTE: The absence of these cosmetic night lighting affects files "DOES NOT" impact flight performance, panel systems functionality, or audio fidelity in any way shape or form .... HOWEVER .... in the interests of providing a simulation that´s as fully featured "as we´re currently able to produce", this´s a detail we want to rectify .... for the pleasure of everyones enjoyment of these simulations. 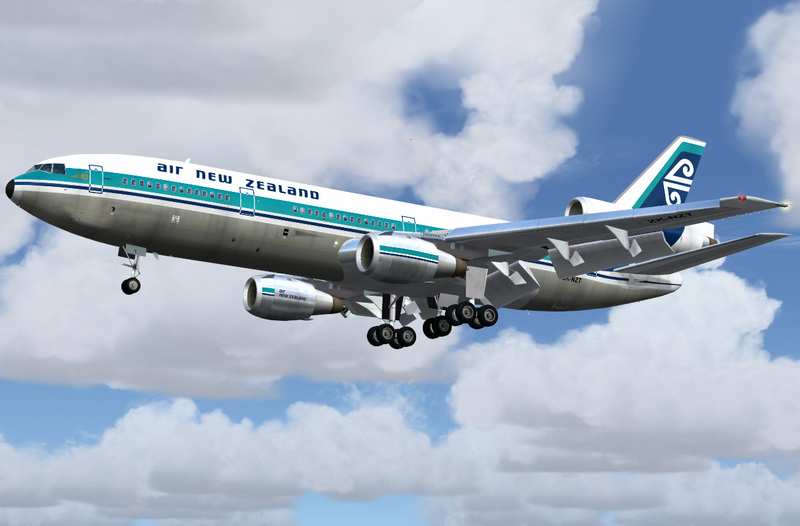 HJG have today launched their updated and further improved DC-10 simulations for both FS2004 and FSX. All of the few previously reported minor issues have been very successfully addressed .... and this DC-10 project also now expanded to include 2 additional DC-10 version aircraft base packs and panels. 1. 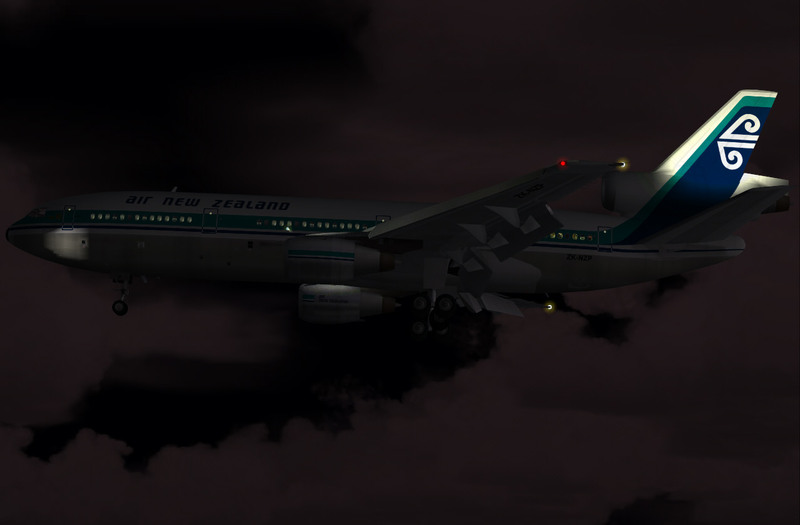 The previously missing external night lighting effects files are now included within each individual DC-10 aircraft base pack. 2. The DC-10-10 (standard version) MGW has now been corrected. 3. 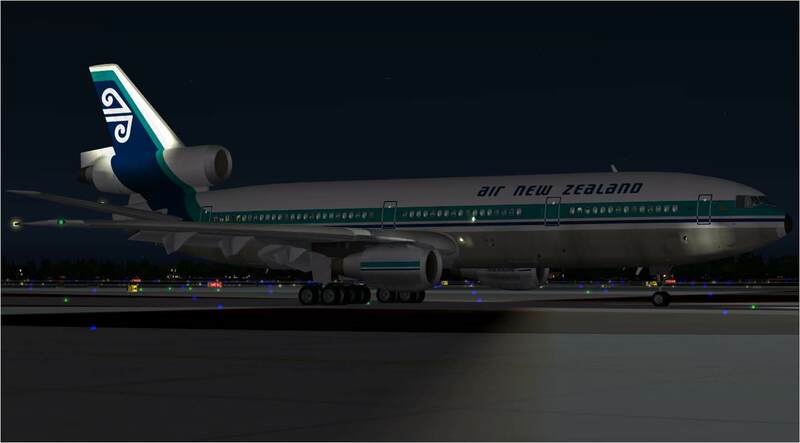 The DC-10-10 and DC-10-10CF (standard version) fuel capacities have now been corrected also. 4. New/edited 3D models featuring GMAX wing flexing improvements are now provided .... these GMAX improvements are based on what we´ve been able to apply to these models given the limited source code available to us. 7. 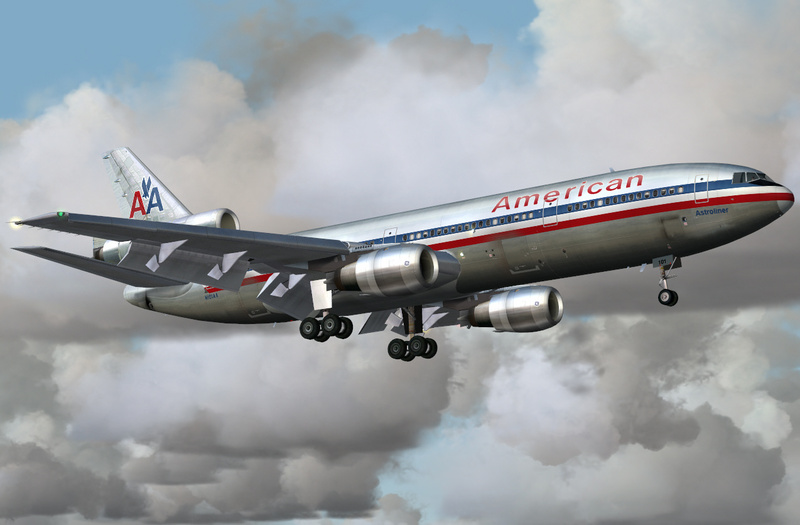 New panels for all DC-10 versions have been released (all FSX version PANEL.CFG files now have their forward left and forward right side views fixed .... this particular issue "was never" applicable to FS9/FS2004). 8. 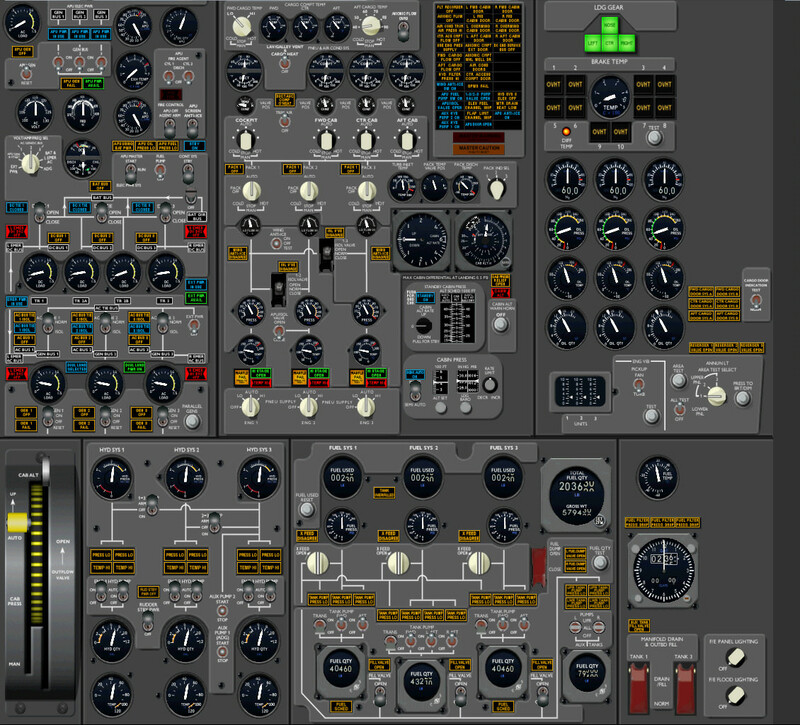 Other main panel instrument re-configurations have been applied to "all DC-10 panel versions" .... bringing these panels closer to panel/gauge layouts of some operators. 9. The panel/gauge night lighting effects for "all DC-10 panels" (which only became evident during some FS time of day lighting scenarios) has been attended to/fixed .... we believe. 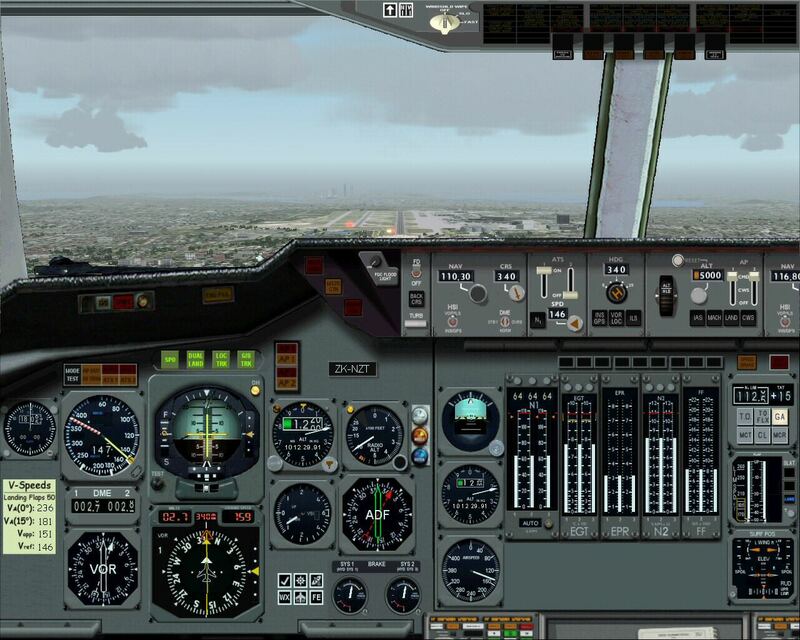 PLEASE NOTE: The above manual includes a number clarified instructions, checklists, and both written and video tutorials .... and almost all of the information necessary in order to be able to understand and fully enjoy these DC-10 simulations. It is recommended that this manual be revised frequently as this information (like that within most of our other manuals) is constantly revised .... as we perceive any need to do so. PLEASE NOTE ALSO: Beyond the above explanations there are no changes to any of our existing DC-10 sound packs or texture files .... this data "has not" been altered.